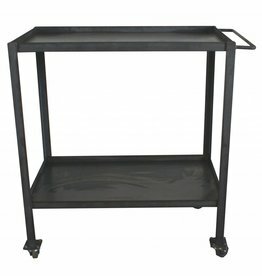 A metallic tea trolley BePure. 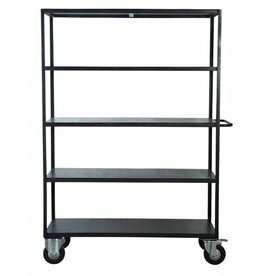 Black metal shelving unit on wheels with five shelves. Useful! 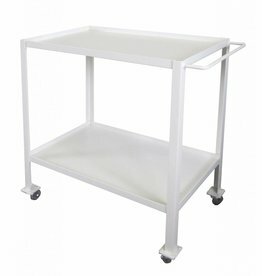 Beautiful white iron trolley. Handy! Beautiful army green iron trolley Tough Metal. 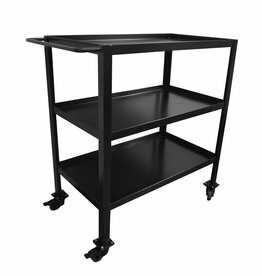 Matte black metal shelving unit on wheels with 5 shelves. 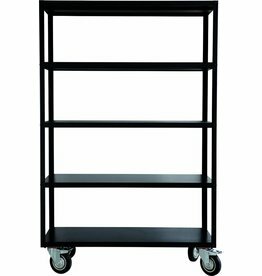 Beautiful black metal trolley with 3 metal shelves from Stoer Metaal.